A climber has died after falling almost 600ft from the top of a climb on Cairn Gorm. The 32-year-old man was exiting the cornice of the route on Aladdin’s Couloir in Coire an t-Sneachda on Wednesday when he fell 180m. Cairngorm Mountain Rescue Team was alerted by one of its members who was climbing close to the incident. The alarm was also raised by several climbers in the corrie, and by an instructor from Glenmore Lodge, the national outdoor training centre. The instructor witnessed the climber’s fall and immediately went to help. A Cairngorm Mountain Rescue Team spokesman said the team was immediately mobilised, along with Cairngorm Ski Patrol and the Inverness Coastguard helicopter. The badly injured climber was airlifted from the scene within an hour of falling. Cairngorm MRT team leader Willie Anderson praised the efforts of the Glenmore Lodge instructor and the rapid response of the helicopter. He said: “The Glenmore Lodge instructor reacted immediately and did everything he could, helped by others in the corrie, but the reality was that the fallen climber had suffered extremely serious injuries. “The speed of response by the helicopter was impressive, and gave the gentleman the fastest possible access to appropriate care. Unfortunately, despite some tremendous efforts, the outcome was not good. Less than three hours later, the Cairngorm team was again called out, this time to assist an injured ski mountaineer in Lurcher’s Gully. Willie Anderson again praised the crew of the Coastguard Sikorsky helicopter. He said: “By this time in the afternoon, the previous calm weather had deteriorated, and we had gusty, turbulent winds to contend with. 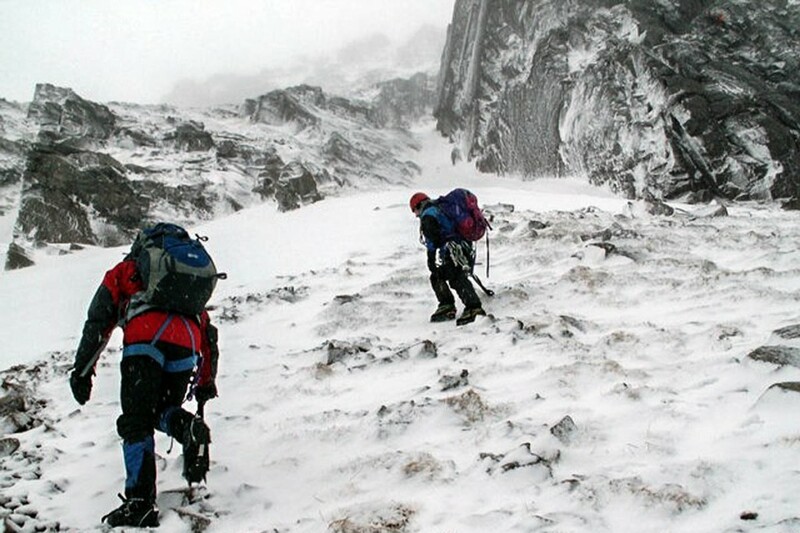 Police named the climber who died in Coire an t-Sneachda as Peter Nielsen from East Lothian.